Daggy man is the solo moniker of Singer/Songwriter Thomas Calder. What began as a side project from Calder’s other project The Trouble With Templeton, Daggy Man was a chance to express another side of Calder's songwriting, and explore more personal topics. As things are want to do, the project grew into something much bigger, resulting in a debut album, "A Lazy Kind Of Pain". The songs are "Somewhat of a Scrapbook, Constructed from memories that may or may not be entirely accurate." 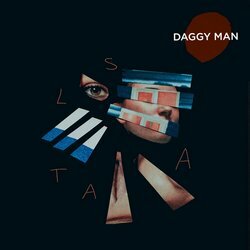 “Atlas”, the second single from Daggy Man’s upcoming sophomore album is an exciting sonic departure full of hard-hitting instrumentation and powerful imagery. Exploring the heroic nature of young feelings and the grandiosity of love and emotion, the journey of “Atlas” is vast and meaningful.